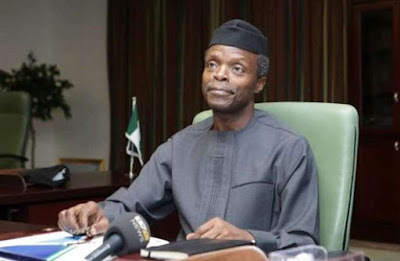 Vice President Professor Yemi Osinbajo is under fire for promoting ethnicity in the race for the 2023 presidential election, even as the 2019 general elections is yet to hold. Osinbajo recently said his kinsmen, the ethnic Yoruba, are those who will determine if a Yoruba person succeeds Buhari in 2023. “The 2019 general elections is our own. We are not looking at the 2019 but 2023. If we get it in 2019, Yoruba will get it in 2023. Because if we don’t get it in 2019, we may not get it in 2023 and it may take a very long time to get it,” the vice president said in Ibadan, the Oyo state capital. Before now, the Secretary to the Government of the Federation, had said President Muhammadu Buhari would hand over to an Igbo person in 2023.